Janina women's traditional rustic boots. These women’s natural-coloured boots have been created in the traditional Bavarian style with appealing modern touches and are made from 100% leather. 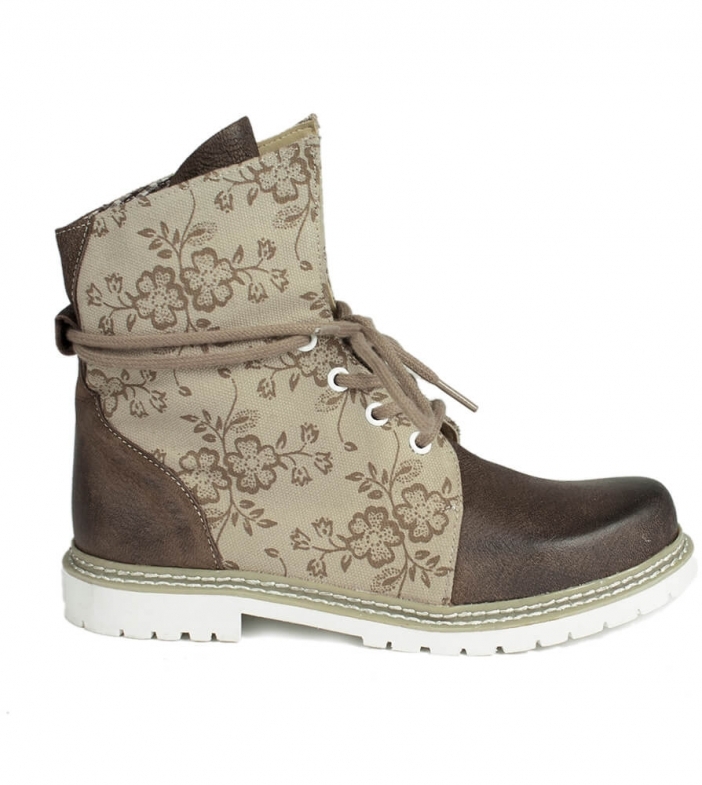 They boast a bold floral pattern on the sides and front lacing in a soft natural colour. These are ideal for wearing to Oktoberfest or any other occasion when you want to dance all night long. Bequem, sehr gute Qualität und schön anzuschauen. Preis ist es wert. Superschöner Schuh. Wurde oft auf dem Oktoberfest darauf angesprochen. Absoluter Hingucker und sehr bequem. Sieht besonders nett zu brauner Lederhose aus. Passform sehr gut. Super zu tragen.